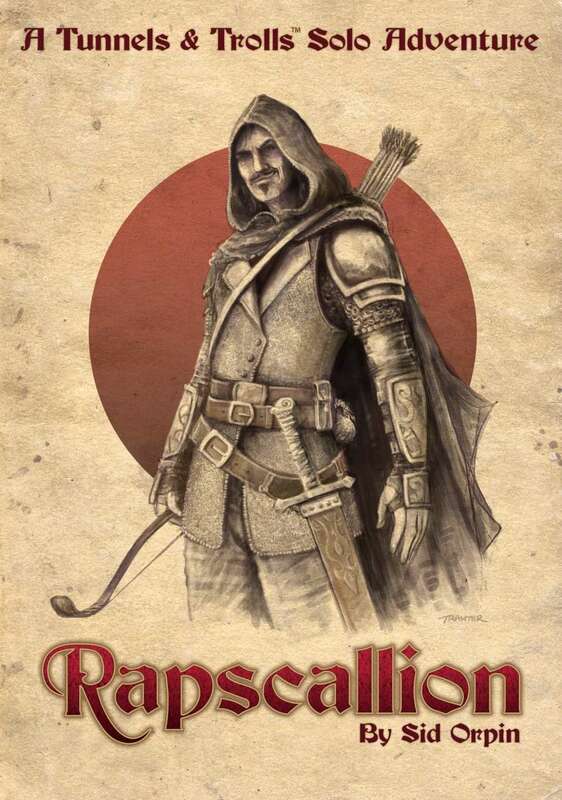 Rapscallion is a solitaire Adventure module for play with Tunnels & Trolls. Any Rogue character of 1st to 3rd level may explore its 142 adventure paragraphs. It has been written with the 7th/7.5th Edition of the Rule Book in mind, though it will adapt to earlier Editions.